Our city’s full of train tracks, rail yards, and the sound of the freight train’s whistle and clunk. 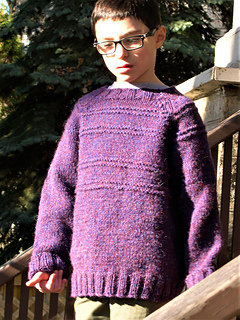 This simple child’s raglan sweater uses garter stitch tracks on the yoke to evoke the magic and power in the music of the rails. 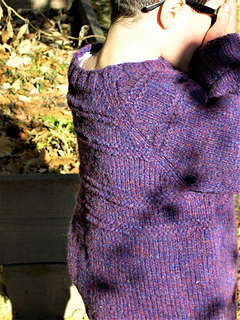 Knit from the bottom up in the round, this design uses written instructions, and a schematic. 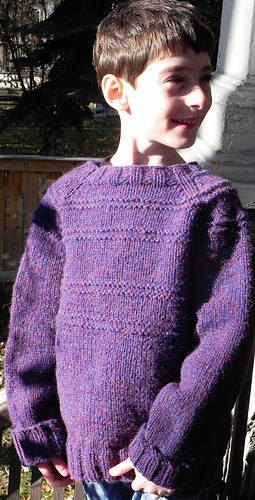 The sweater is completely reversible. If the kid spills on the front…turn it around. 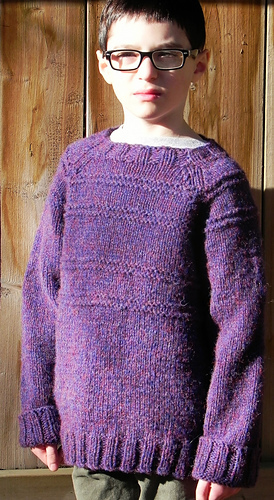 It requires virtually no sewing at the end, just weaving in ends and joining up the underarm stitches. 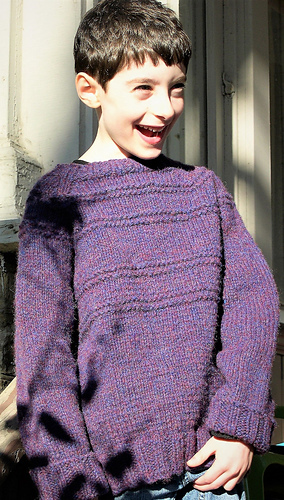 This pattern requires the knitter to increase, decrease, and knit some magic into the train tracks. 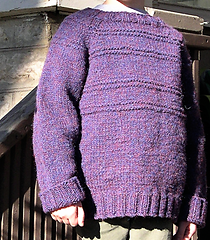 Sizing: Please measure the wearer’s chest size and plan for plenty of ease. 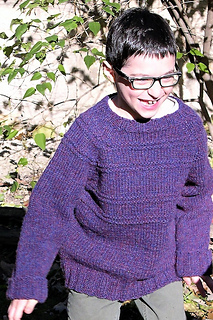 This is meant to be a relaxed fit…kids grow fast.